Students sewed felt bears and stuffed them. Then they designed clothes, named their bears and created a companion book about their bear’s adventures. It was a long project, 5-6 weeks and they struggled with threading the needles and stitching up the bears, but I think they really enjoyed the challenge and I know they felt proud of their end products! I cut out the shape of the fish onto a white poster board and then pasted colored tissue paper onto fish shapes in different colors with Mod Podge. Mod Podge is a water based sealer or glue, I selected the Gloss-Lustre because of the shine. I did this first step to save time. It takes a day to dry. The students then got an assortment of tissue papers and a little bit of Reynolds wrap for detail and they cut and arranged patterns and shapes onto fish, when they were ready to glue they used the Mod Podge with a paint brush to anchor the image and some of them added a tail. 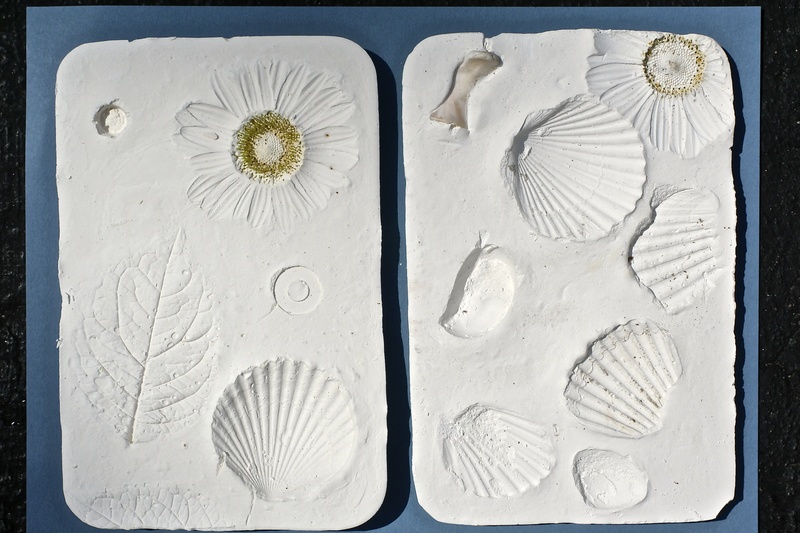 I created Plaster of Paris molds and Sunprints at the International House with moms and children in July. We worked outside to cut down on the mess. I brought in seashells, daisies, ferns and nuts and bolts. For each project, we used the following processes. 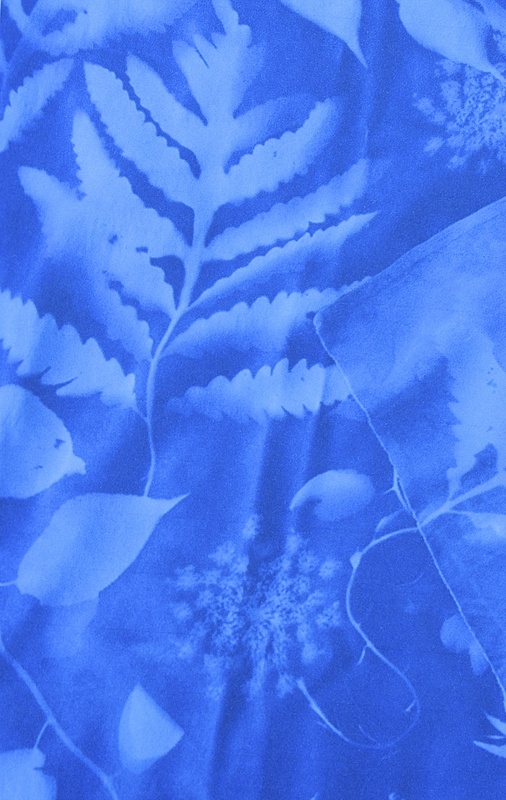 Lay out objects, such as leaves, flowers, nuts and bolts and lace on the blue Sunprint paper in the sun, wait 2-5 minutes till paper lightens and creates a quick print. 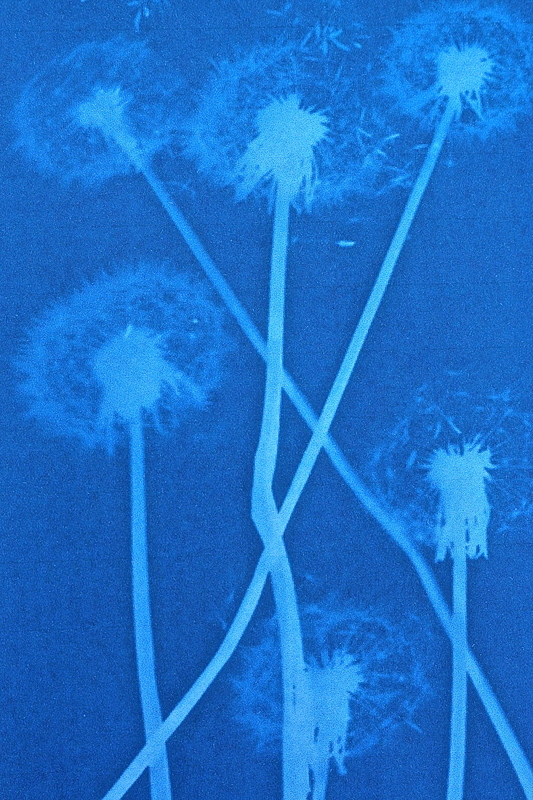 Rinse the paper under cold water to set the print. Let dry. Flatten paper under heavy books to take wrinkles out. Pour about one inch of plaster into a small Styrofoam meat tray. Let the plaster set until almost dry, about 20 minutes. Place daisies, seashells, nuts, bolts, or whatever you’d like into the plaster (texture side down). Wait for the plaster to harden, for about 20 minutes. Pull the objects out of the plaster or use a small knife to remove them. I like the idea of working with natural and man-made objects, but I have to say the natural objects looked more beautiful. Making successful plaster reliefs was hit or miss. It was fraught with more problems than making a good lemon meringue pie! But when it works, the results are beautiful. 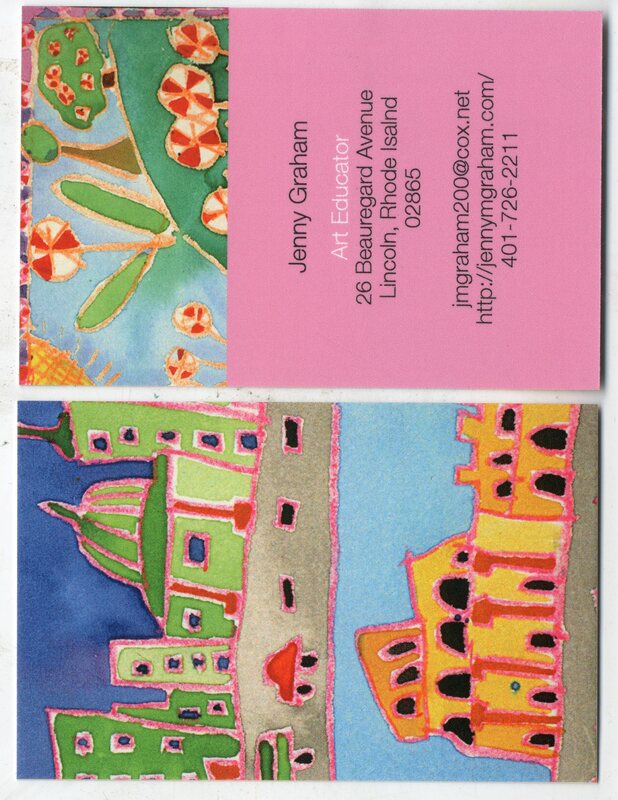 I printed business cards last summer using the online Moo Publishing House and was impressed with the quality of the cards. 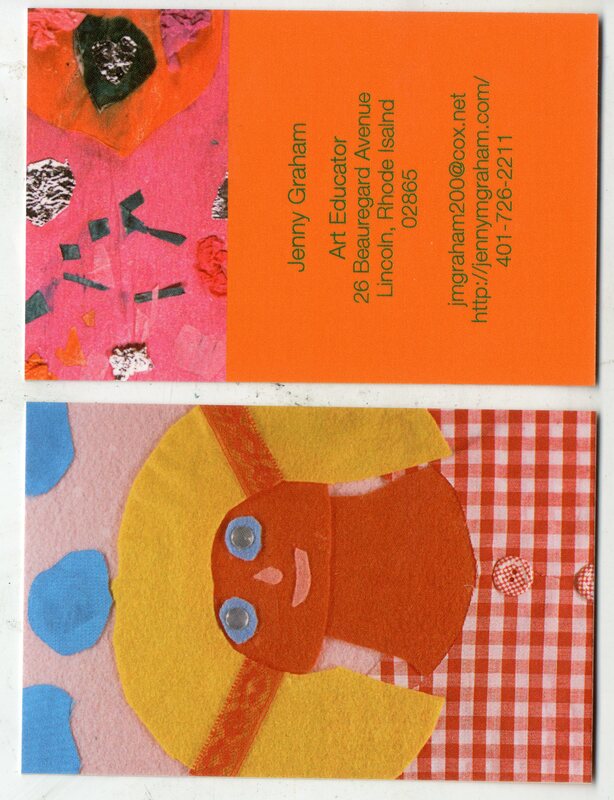 I put images of my former students’ art and my own art on the cards. I put them up in coffee shops, grocery stores, bookstores and libraries but it did not result in any paid gigs. One person said perhaps people don’t want to spend money on private art lessons at their home. I guess in this economy it makes sense that, if they have to choose, parents are rightly concerned with SAT tutors rather than with art enrichment. Wouldn’t it be great if we could do both?